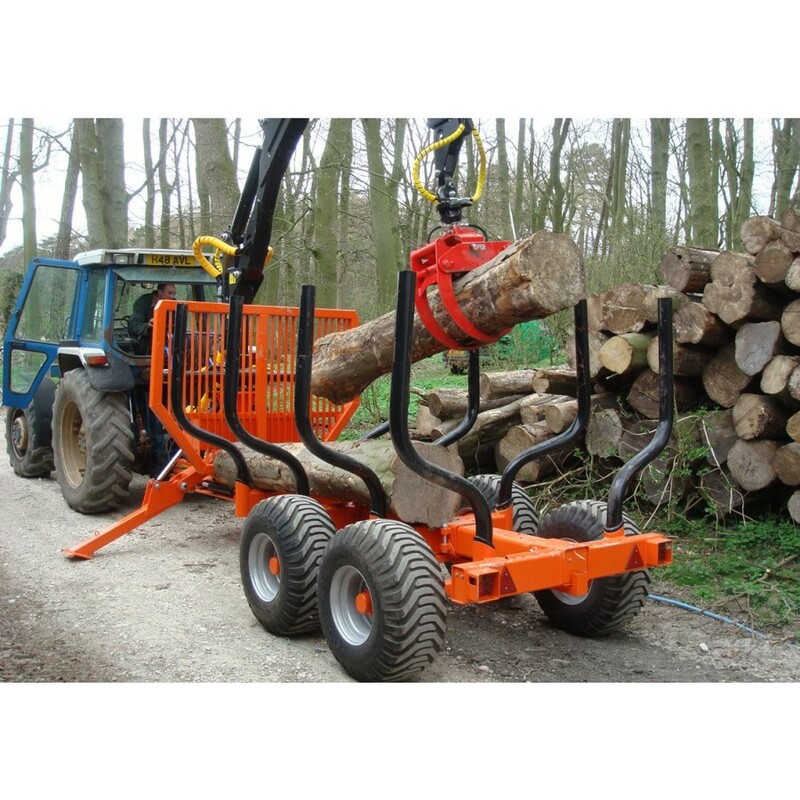 High capacity timber grab for all agricutural loaders, telehandlers, tractors and forklifts. 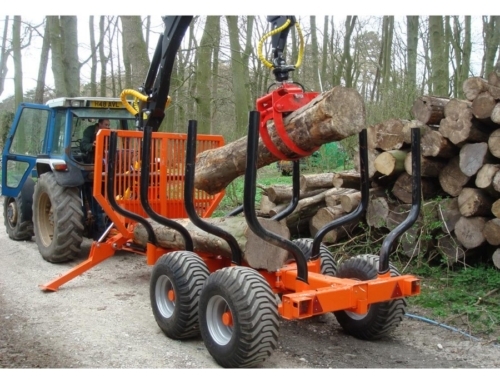 These forestry grapples allow the efficient handling of timber with standard loaders without the requirement to invest in more expensive specialist timber handling cranes. 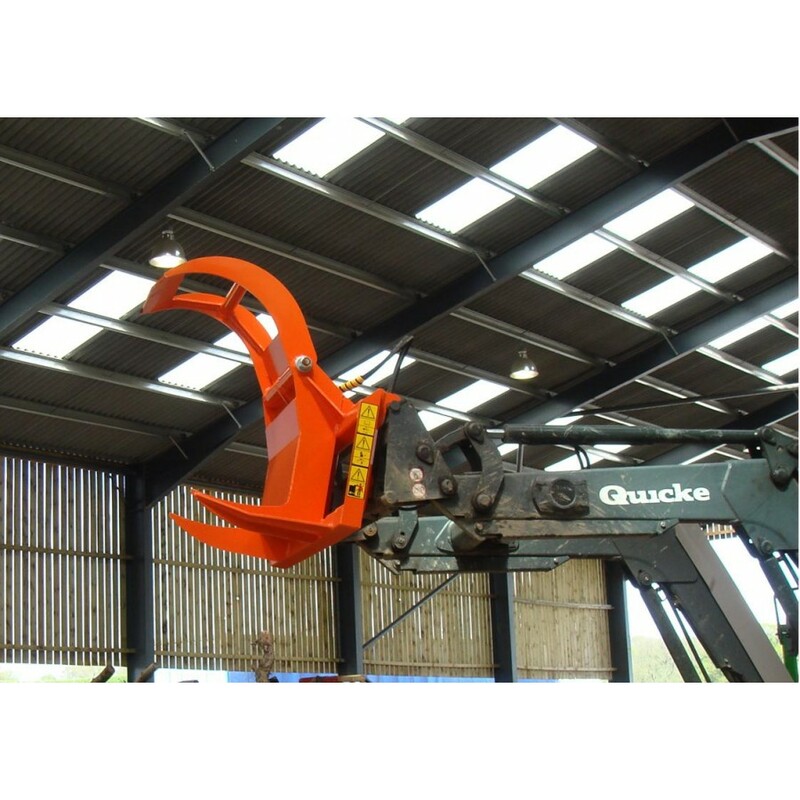 The Klaw attachment can be fitted to loaders with standard ‘euro’ hitches but thanks to a bolt on system for brackets can be adapted to fit most loader quick hitch systems. 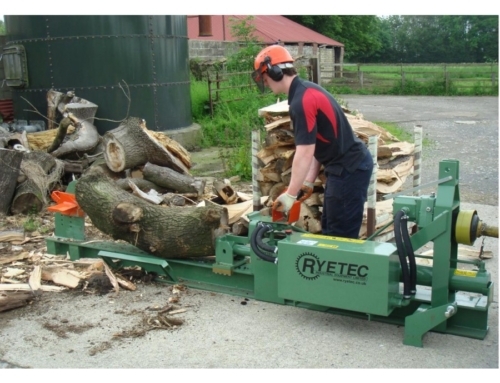 The combination of heavy duty 3 ton rated claws which are manufactured to be strong but able to flex rather than break under heavy loads and a powerful hydraulic grapple which has both a wide opening and will close completely to allow handling of brash, and many small diameter logs or larger single pieces. 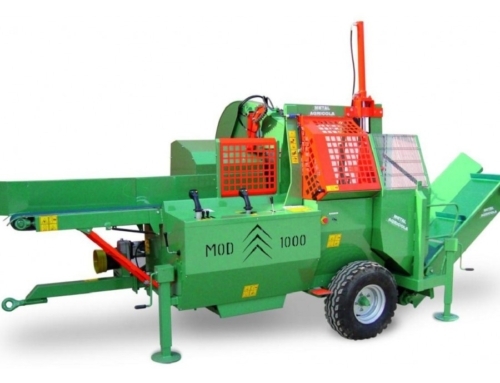 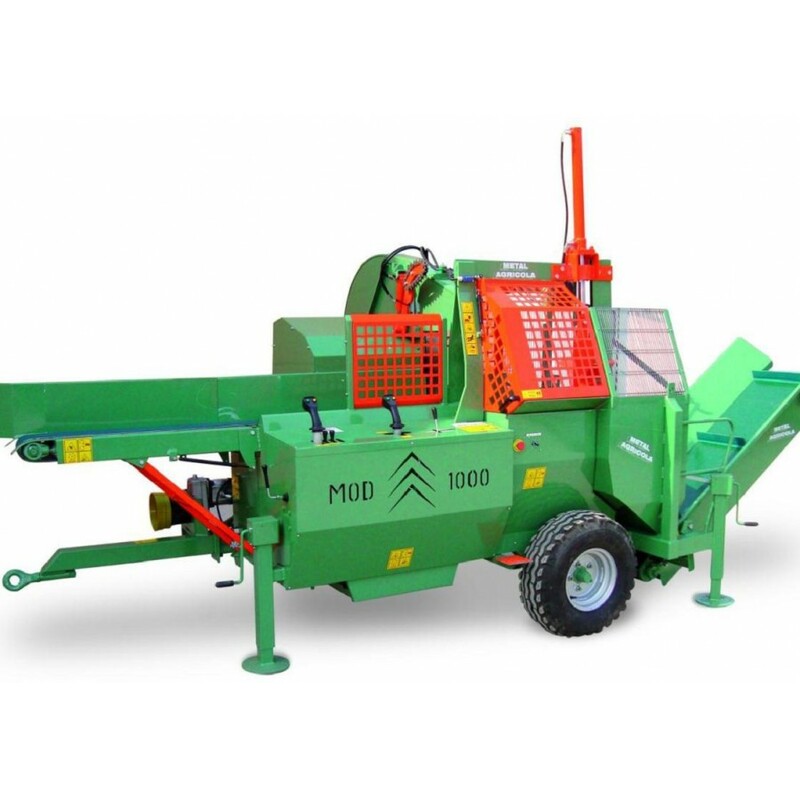 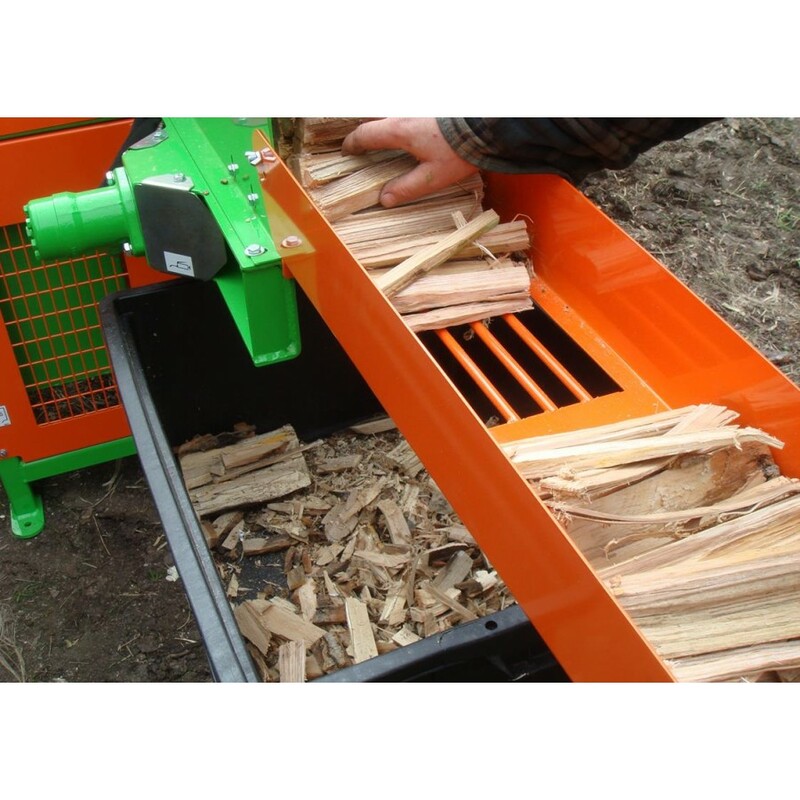 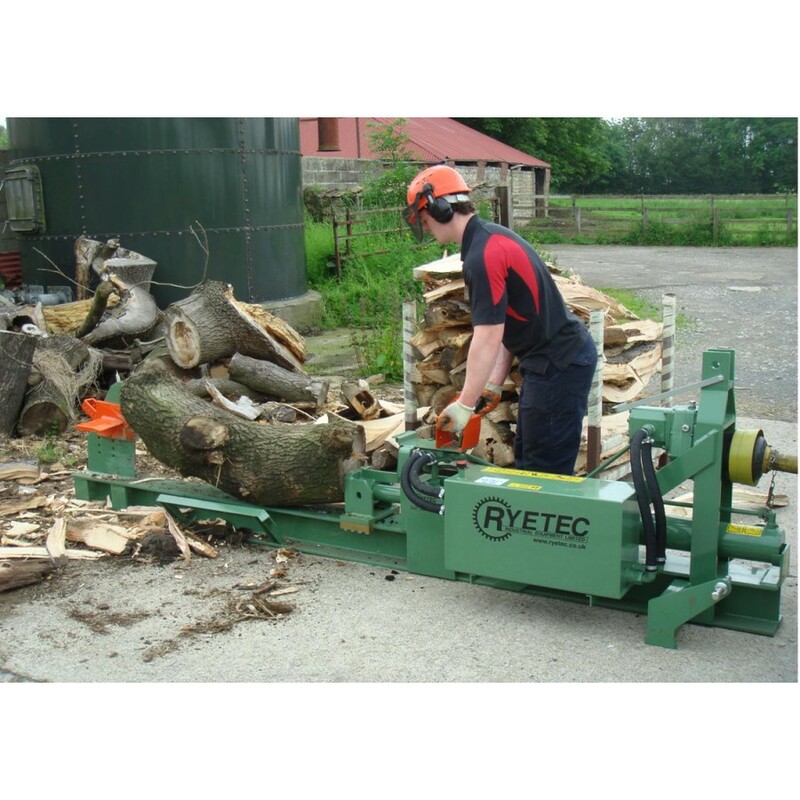 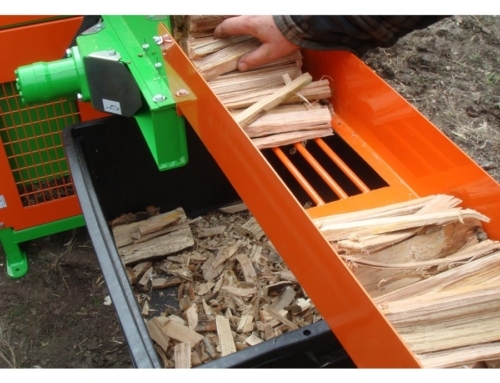 The Klaw allows any loader to easily pick up felled timber and place it easily and acurately on trailers, firewood processors or just to allow for easy extraction and stacking. 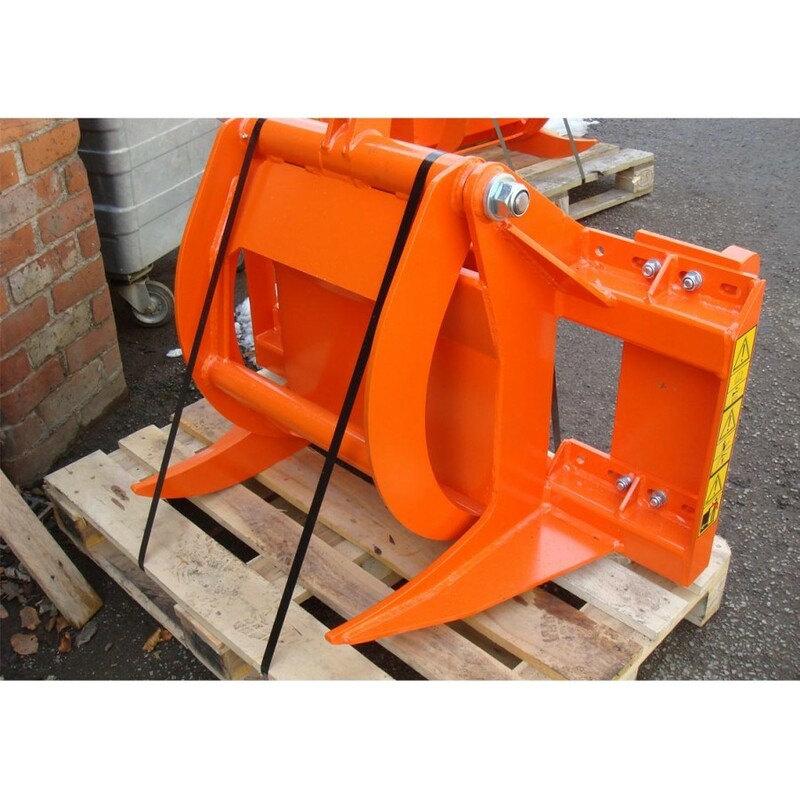 The robust frame also protects the hydraulic ram from any potential damage. 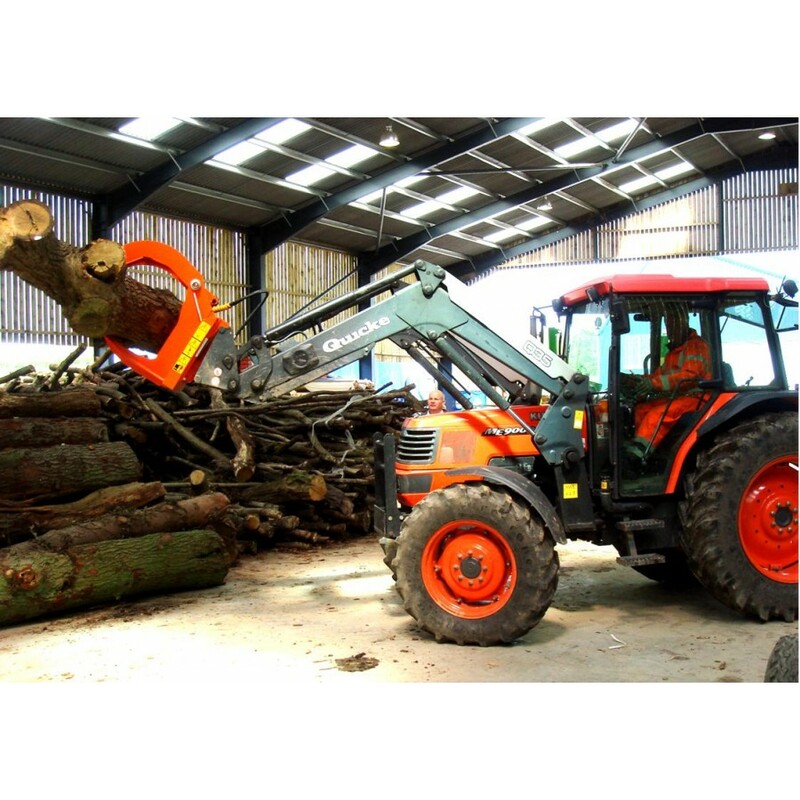 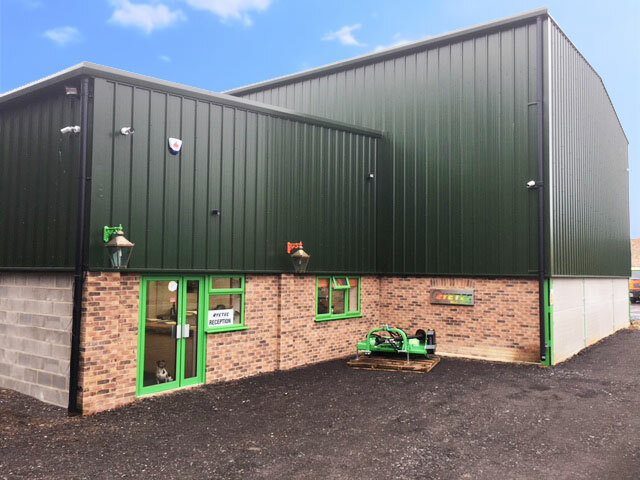 High tensile steel is used to construct the arms for maximum strength and minimum weight as the Klaw weighs only 185Kg, but rated at 3 tons allows any loader to maximise its lift capacity. 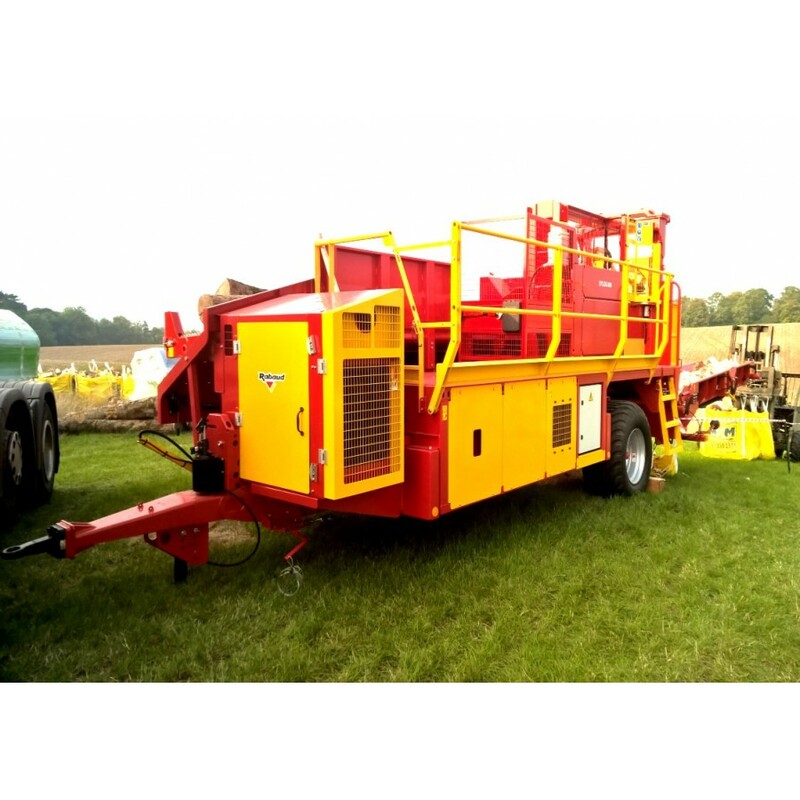 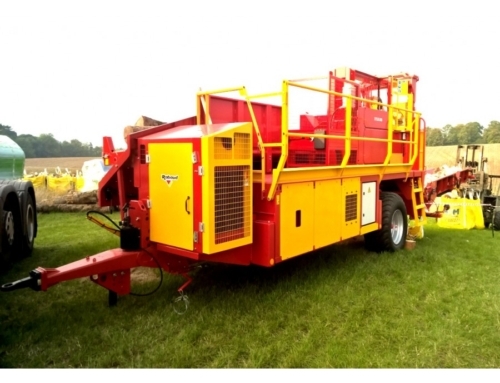 The Klaw requires a single double acting service to operate the grab and is supplied with 2 hoses complete with 1/2″ Quick release male fittings to connect to couplings on the loader carrage.